I understand the clan logos on vehicles and how the current system works. I'm referencing the yellowish table at the bottom that mentions Clan_text and the images even reference a alternative clan image. This was all laid down when insignia's originally came out, I assumed it was a sign of what was to come but it seems insignia development has halted since. Thank you for your feedback, there are some reasons why it was designed like this, but we'll definitely take your notes into consideration. Just to be sure, you are currently able to change the Rank Titles. The ones listed there are the default names, but when you are in the 'Manage Members' window, 'Rank Title' is actually text field that you can edit. Hope that helps a little bit. "... it should be allowed to set the 'owner' to any rank, same goes for 'exec officers'." Maybe - instead of attaching abilities to ranks - allow owners to assign some kind of moderator/admin status to units instead of officer/leader, kind of like they do it in steam. Yes, currently the higher the rank, the more unit admin rights you have. This (as far as I understand) simplifies the website's back-end, and we hope keeps things more simple to understand for users. If we do decide to change how this works for 'Owners', it would be a more complex operation, so realistically not something that would change in the short-term. Therefore, at least for now, in you situation I would perhaps recommend setting a custom rank title for yourself, which could indicate your are actually a lower rank member of the unit, but are owner of the page. It would mean you're still a Rank 7 Unit Leader, but perhaps with a rank title along the lines of: Sergeant (Unit Admin/Owner). It's not the cleanest solution, but I think would solve your issue for the most part for now. That sounds like a bug! Can you tell us the name of your unit? Thanks for the update of Arma 3 Units. I also would welcome an API. We got anything automated, so as example, if an new member joins, or the rank is updated its automaticly change the squad.xml. Thanks! That's a known bug indeed, we hope to address it soon. If we can get a auto join of teamspeak server,this will be a +1 for me. Thank you very much for the possibility to change the names of the ranks. (In our unit we don't use military ranks, we categorize our players in groups such as guest players, regulars, applicants and full members.) It would be convenient for us if the rank headlines (enlisted, officers, etc) and the rank icons (chevrons, etc) were made optional. When I changed the ranks of our players I had to change the rank of every single person individually. It would be easier to replace a rank with another word and everyone with the same rank number would automatically receive the right title. Unable to edit my unit either. A small issue - While I have listed the unit's creation date of August 2010, the public view reports December 2010. Already Mentioned - If we can have a direct API signup or redirect for members to join that would be pretty nice. Already Mentioned - If we can change the default rank (names) for use within our unit pages, it would help to prevent reediting every member that joins for a corrected title value. Though I think you've stated you might or might not work on it, I have to second the concern of the Unit Position being related to the Unit Rank. Is there any explanation of why the Rank 7 HAS to be the Unit Leader, and Rank 6 HAS to be the Executive Officer? To the layman the positions would seem to only affect the website end, while the rank would only affect the game end. After all, the Officer/Enlisted has no bearing on ranks 1-5. Why should Leader and Executive be any different? EDIT: Also, are there any plans to increase the character limit for the Title? Confirmed. "Edit Unit" option is broken, after selecting "Edit Unit", i'm left with an empty screen that just shows 4 windows for "Browse Units, Browse Events, Play Now, and My Units". Nothing else is on the page but those 4 windows. Also, in player profile, i notice on the Unit section it has a place for the xml. However, the Unit's page doesn't have an .xml with the logo we have set. Is this feature to come in the future so as to allow Unit members to have their logo's on the patches and vehicles? Or does this feature have to be hosted by a third party. Every owner of the game has a Steam account but not every owner has a Bohemia account. 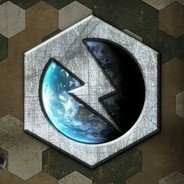 Wouldn't it be good to give people the option to join a unit with their Steam account? Another quick idea: Could you make it possible to edit edit roles (Unit Leader, Executive Officer, Officer/Enlisted) just like we can edit rank and title of the members? This might help to create a roster which reflects the organisation of the unit a bit better. I also would suggest to drop the Rank system and maybe make it more like groups which can be assigned specific icons and names. Thanks for the feedback! This is probably not something that could be changed soon, but we'll take it into consideration. Thanks for reporting! It will be looked into. Seems like a bug, will be looked into. Thanks for the report! It simplifies things on the back-end (otherwise there are many more usercase scenarios to consider/cover), and the idea was that it's easier to understand for users that the higher the rank, the more admin rights you have. I realize this might not be relevant/suitable for everyone. Just to give a bit of background, the difficulty for us, in terms of the design, is to find a compromise between offering/explaining more 'complex' or advanced features versus something that is easy to understand also for the less engaged users. Plus, we need to consider our internal resources, and thus a compromise is sometimes made to have a more simplified system. We also want to enforce some visual consistency in the unit presentation. Nonetheless we take the feedback to heart and will see if it's feasible to uncouple ranks and admin roles at some point in the future. It's definitely a sensible suggestion. Thanks for the feedback! With regards to the the title character limit, this will probably not change as longer names will start to break the website layout in places. Unfortunately we can't make the system work with Steam accounts only, but you can now also create/log into a Bohemia Account with your Steam credentials. With regards to ranks and titles, this will be considered, but unfortunately would not be something that could be changed soon. Thanks for the suggestion! Unfortunately it does not seem likely that this will be an option in the near future, but definitely makes sense, and is worth the consideration! Dont know if mentioned before: Sorting by Unit Size doesnt give correct results. (Lots of 1 guy units on the first page, bigger one coming later). Yep, it's a known bug, should be resolved this week. Thanks for the report! Yes, that explains it well, thanks. Looking forward to it! Is there a reason why there can only be 3 Colonels and 10 Majors? We would like to have 5 Colonels in our community (it makes more sense rank-wise). When I click 'Browse Units' and I select the filter option 'Unit Size (Highest)', all units on the first page have 'undisclosed' size (and when I check, they have like 3 members each), while my unit has 9 members currently, and should therefore be higher in the list. When I specifically search for my units name, it DOES show that we have 9 members. Apparently the filter option 'Unit Size' is not working! On the not being able to edit units. I changed my logo, worked great. Then I tied my BI to Steam, and was unable to edit unit. Not sure if there a connection. Just the sequence of events I was doing, before I was unable to edit unit anymore.